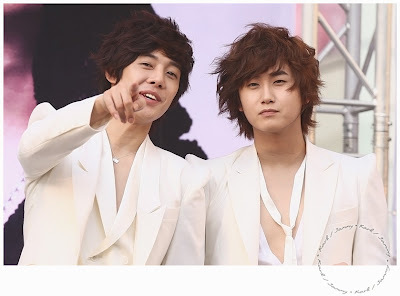 let's see what it's all about ^^ But...lets see more pix first..
Saengie looks at the direction HJL is pointing..
Are they looking at this ??? 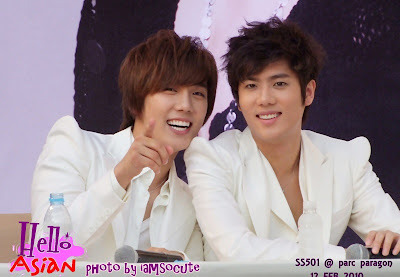 Jung Min ! 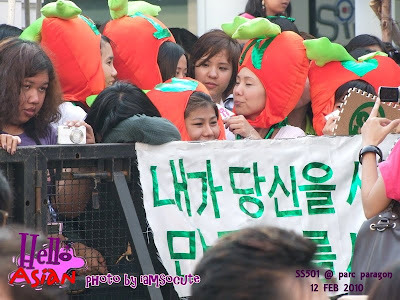 You are blessed to have such lovely carrots...err I mean fans !!! 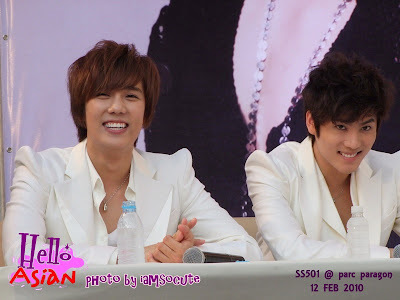 Photo credits : As labeled. 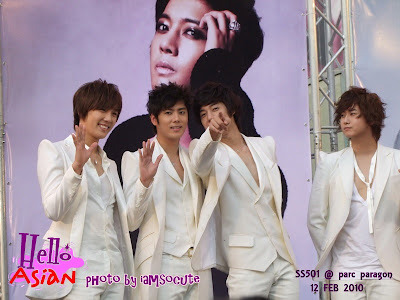 Thank you to pantip.com/cafe/chalermthai, Hello Asian + Iamsocute, Kimhyunjoong Thailand.com and PUMPUI::MIN::, lovekimhyunjoong.com and SS501 UFO !! 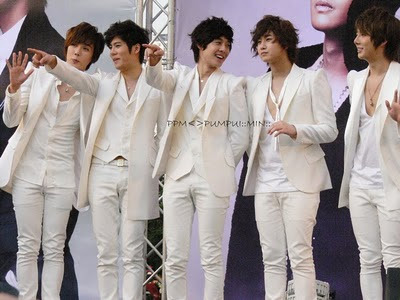 Jung min deserves it, he's so NICE and SMILING to fans...makes fans feel GOOD ! myoceeeeeeeee!!!!! 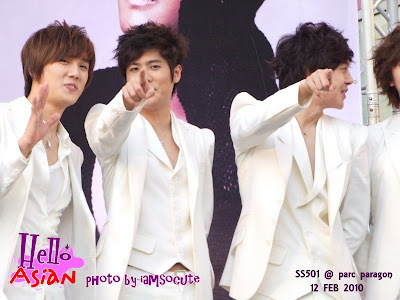 !i luv u sooo much!!!! !hehehe..really2 miss my shillang..
Hahaha....Anggit ! Harusnya Anggit nemenin Mal belanja2 di toko sesudah konser. Kayaknya untuk CEO program itu ya? 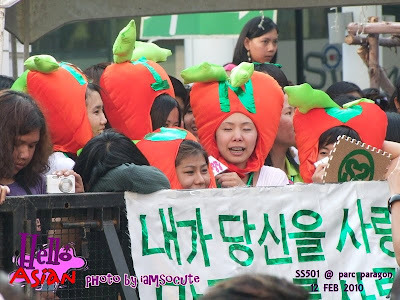 Jung Min sure has a lot of 'carrot heads' loving him !! huahaha..seharusnya sih kaya gitu..tp ga enak ah.hubungan ku kn ga blh go public :D CEO program? 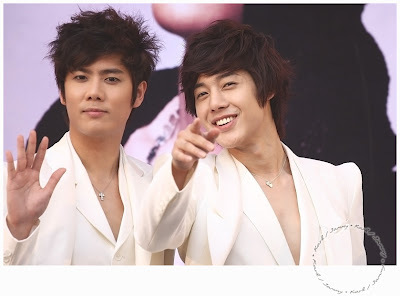 SS501 Kim Kyu Jong, Happy Birthday ! 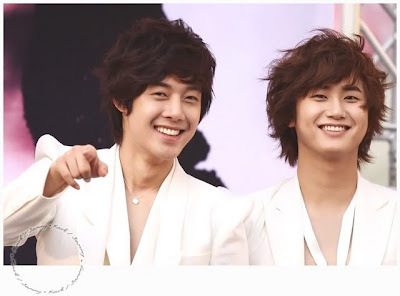 KHJ - go ahead and knock us out ! I hate polls that are hacked ! 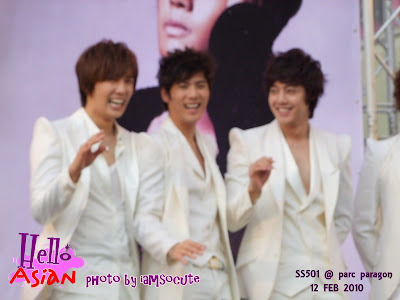 Joongbo at SS501 Persona Concert in Bangkok !! Happy Birthday to Hubby ! 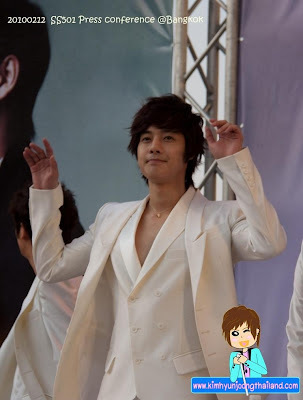 Kim Hyun Joong Fans For Haiti !